I wasn’t going to do anything strawberry and chocolate this year for Valentines Day cause strawberries are so expensive this time of year, but I found this amazing farmers market that had a whole crate of strawberries for like 5 bucks. So, it gave me the perfect excuse to make this amazing recipe, and hopefully a couple others. This recipe is completely amazing though!! 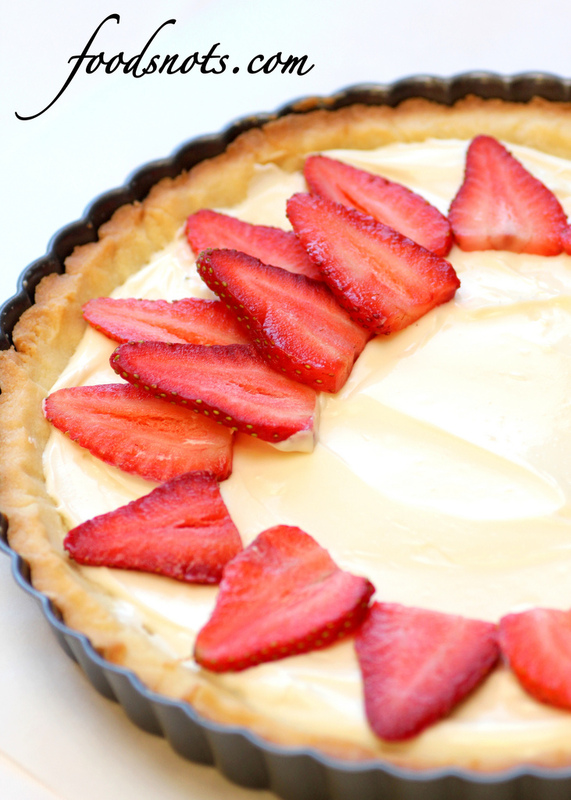 The crust is completely perfect in every way, and then the cream cheese gives this tart a kind of cheesecake feel. Which, we all love cheesecake right!? 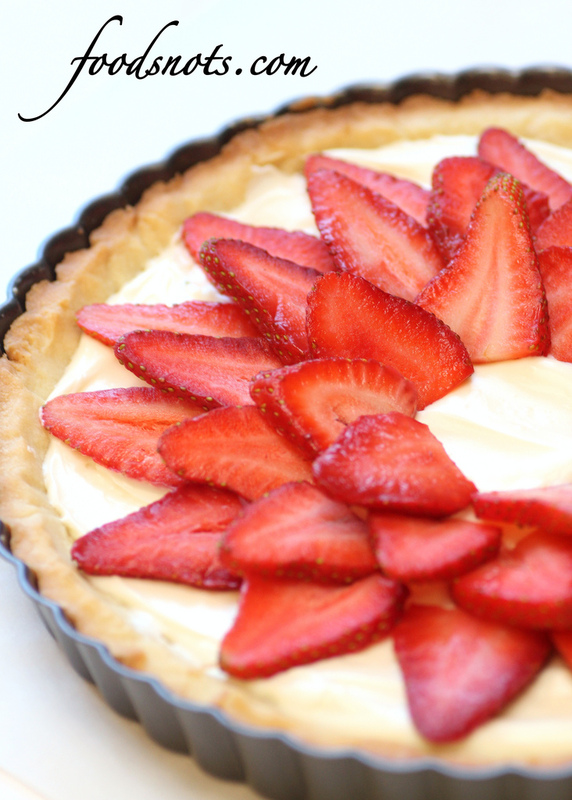 Can never go wrong there, and then top that all off with fresh strawberries and chocolate. Um, Yes Please!! Totally decadent and indulging. I topped my tart off with the extra chocolate ganache left over from the crust, but you can also do the melted chocolate like instructed in the recipe. I just wanted the extra gooey syrupy look and feel, but I also feel like it just tied the whole tart together, but either way works. And it’s not like you can mess this thing up. It pretty much turns out amazing no matter what! Enjoy!! To make the tart shell, whisk together the egg yolk, cream and vanilla in a small bowl; set aside. Place the flour, sugar, and salt in a food processor. Process briefly to combine. Scatter the butter pieces over the flour mixture. Process to cut the butter into the flour until the mixture resembles course meal, about fifteen 1-second pulses. With the machine running, add the egg mixture and process until the dough just comes together, about 12 seconds. Turn the dough onto a sheet of plastic wrap and press into a 6-inch dish. Wrap in plastic wrap and refrigerate at least 1 hour or up to 48 hours. Remove the dough from the refrigerator. (If refrigerated for more than an hour, let stand at room temperature until malleable.) Unwrap and roll the dough out on a lightly floured surface to a 13-inch round. Transfer the dough to a 9-inch tart pan. Mold the dough to the sides of the tart pan and remove the excess off the top. Set the dough-liner tart pan on a large plate and freeze for 30 minutes. Meanwhile, adjust an oven rack to middle position. Preheat the oven to 375 degrees F. Set the dough-lined tart pan on a baking sheet, press a 12-inch square of foil into the frozen shell and over the edge, and fill with pie weights. 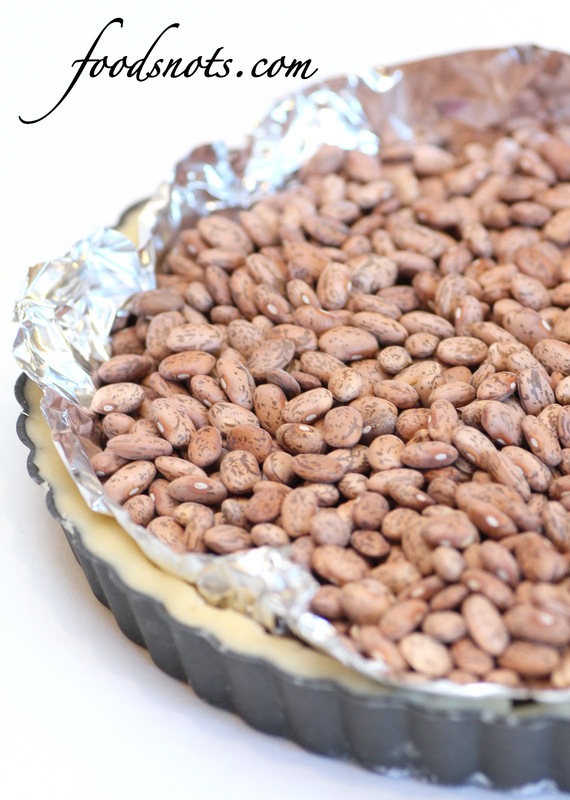 (If you don’t have pie weights, you can also substitute for pinto beans or rice. Also make sure that you have enough foil to rap around the bottom of the tart pan or else if the top edge of the crust is not covered it will brown too quickly.) Bake for 30 minutes, rotating halfway through the baking time. Remove from the oven and carefully remove the foil and weights. Continue to bake until deep golden brown, 5-8 minutes longer. Transfer to a wire rack to cool. To make the ganache, place the chocolate in a heatproof bowl. Bring the cream to a simmer in a small saucepan. Remove from the heat and pour over the chocolate. Let sit 1-2 minutes to melt the chocolate. Whisk together until a smooth ganache forms. If there are still bits of unmelted chocolate, microwave in 10 second intervals, whisking in between, until the ganache is completely smooth. Whisk in the butter. 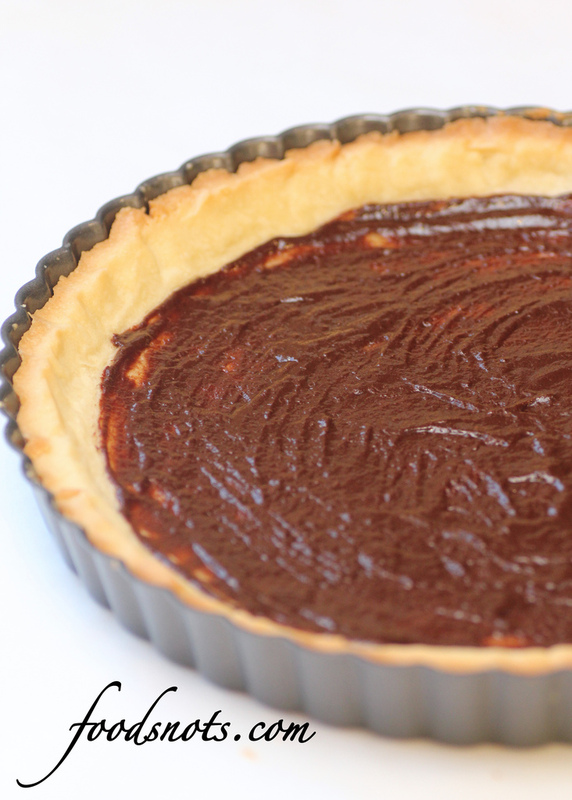 Spread the ganache in a thin even layer over the bottom of the cooled tart shell. Allow the ganache to set before proceeding. To make the filling, beat together the cream cheese and confectioners’ sugar in a bowl on medium-high speed until smooth. Blend in the vanilla and milk or cream. Mix should appear smooth and creamy like so. 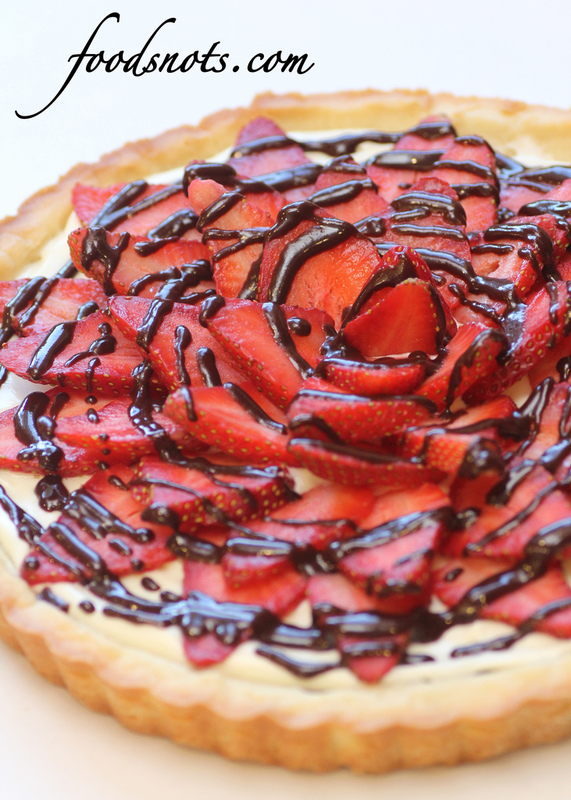 Spread the cream cheese mixture over the cooled ganache in the tart shell. Starting from the outside and working toward the center. 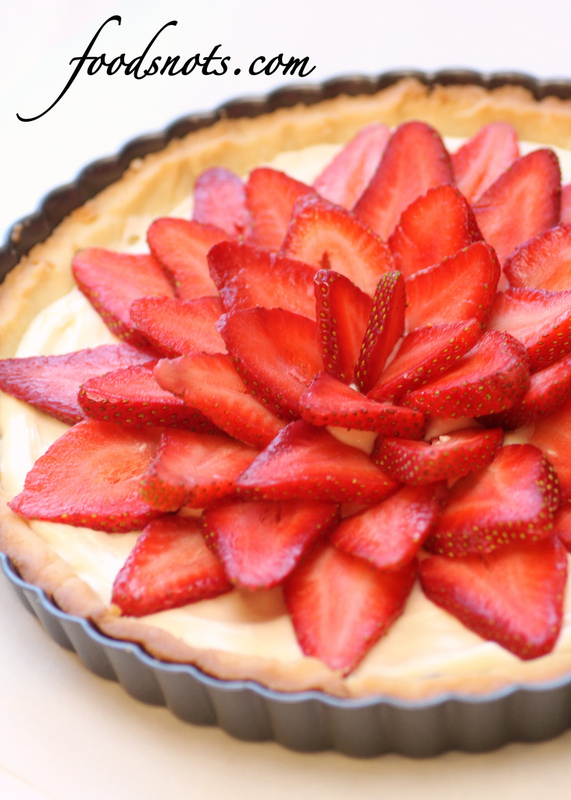 Place the sliced strawberries in concentric circles slightly overlapping each other. Gently press the berries into the cream cheese mixture to help keep them in place. Drizzle with melted chocolate, if desired. Chill until ready to serve.